Dinniss Harrison Heather, Cyber Warfare and the Laws of War, Cambridge University Press, New York, 2012. Carr Nicholas, The Shllows.How the Internet is Changing the Way We Read, Think and Remember, Norton, New York, 2010. Carr Nicholas, The Big Switch. Rewiring the World, from Edison to Google, Norton, New York, 2009. Arthur Charles, Digital Wars. Apple, Google, Microsoft and the Battle for the Internet, trad. it. Digital Wars. Apple, Google, Microsoft e la battaglia per la conquista del web, Hoepli, Milano, 2012. AA. VV., Post-Umano. Relazione tra uomo e tecnologia nella società delle reti, a cura di Mario Pireddu e Antonio Tursi, Angelo Guerini e Associati, Milano, 2006. Gray Hables Chris, Cyborg Citizen. Politics in the PosthumanAge, Routledge New York, 2001. Jean Carlo, Tremonti Giulio, Guerre Stellari. Società ed economia nel cyberspazio, FrancoAngeli, Milano, 2000. Sini Carlo, L’uomo, la macchina, l’automa. Lavoro e conoscenza tra futuro prossimo e passato remoto, Bollati Boringhieri, Torino, 2009. Toffler Alvin, The Third Wave, New York, William Morrow and Company, 1980, trad. it, a cura di Lino Berti, La Terza Ondata, Sperling & Kupfer, Milano,1987. Virilio Paul, La bombe informatique, Paris, Édition Galilée, 1998, trad. it. La bomba informatica, a cura di Piana Gabriele, Raffaello Cortina Editore, Milano, 2000. Deibert, R., J. Palfrey, R. Rohozinski en J. Zittrain (2010, eds.) Access controlled: The shaping of power, rights, and rule in cyberspace, Cambridge (Mass. ): MIT Press. Mueller, M. (2010) Networks and states. The global politics of internet governance, Cambridge (Mass. ): MIT Press. Mueller, M. and B. Kuerbis (2014) ‘Towards global internet governance: How to end U.S. control of ICANN without sacrificing stability, freedom or accountability’, TPRC Conference Paper, available at SSRN: http://ssrn.com/abstract=2408226. Schmitt, M. (2013, ed.) Talinn Manual on the international law applicable to Cyber Warfare, Cambridge: Cambridge University Press. Graham, M. (2014) ‘Internet geographies: Data shadows and digital divisions of labour’, pp.99-116 in M. Graham en W. Dutton (eds.) Society and the internet: How networks of information and communication are changing our lives, Oxford: Oxford University Press. Mele S., "Cyberweapons. Aspetti giuridici e strategici. Versione 2.0", Istituto Italiano di Studi Strategici Niccolò Machiavelli, Roma, giugno 2013. Vinge Vernor, "The Coming Technological Singularity: How to Survive in the Post- Human Era", VISION-21 Symposium, NASA Lewis Research Center and the Ohio Aerospace Institute, March 30-31, 1993. Westby Jody R., "Wegener Henning, Barletta William, Rights and Responsibilities in Cyberspace Balancing the Need for Security and Liberty", EastWest Institute & World Federation of Scientists, New York, 2010. Heinegg von Wolff Heintschel, "Legal Implications of Territorial Sovereignty in Cyberspace", NATO CCD COE Publications,Tallinn, 2012. European Union Institute for Security Studies, "Global Trends 2030 –Citizens in an Interconnected and Polycentric World", Paris, 2011. O'Neil Michael, "Cyber Crime Dilemma: Is Possible to Guarantee Both Security and Privacy? ", The Brookings Review, Vol. 19, No. 1 (Winter, 2001), pp. 28-31. Benkler, Y. (2011) ‘A free irresponsible press: Wikileaks and the battle over the soul of the networked fourth estate’, Harvard Civil Rights-Civil Liberties Law Review, 46 (2): 311-396. Brown, I. and C. Marsden (2013) "Regulating code: Good governance and better regulation in the information age", Cambridge (Mass. ): MIT Press. Eeten, M. van, M. Mueller and N. van Eijk (2014) "The internet and the state: A survey of key developments", Den Haag: Raad voor Maatschappelijke Ontwikkeling. Hurwitz, R. (2014) ‘The play of states: Norms and security in cyberspace’, American Foreign Policy Interests, 36 (5): 322-331. 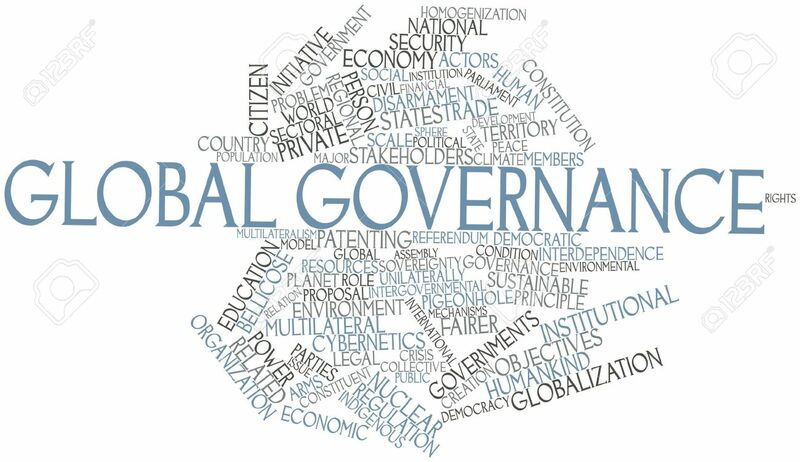 We have about 250 other documents, articles, essays and volumes on the theme of Global Governance and International Law to recommend to you! Click here to immediately send an email and receive our complete bibliography.